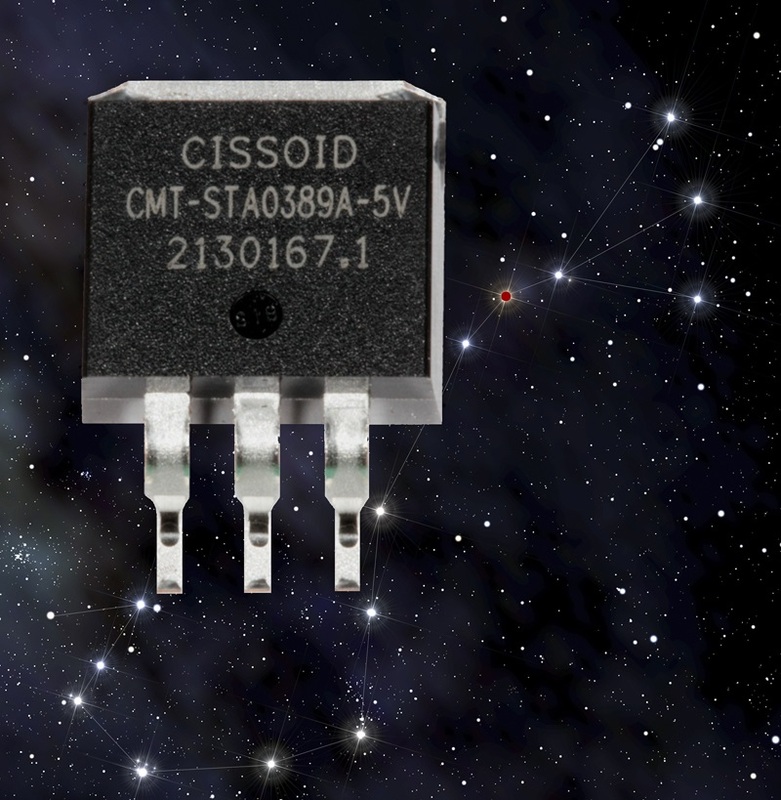 Designed for high reliability, high temperature automotive and industrial applications, the CMT-Antares is a fixed-voltage 5V linear voltage regulator from Cissoid. The ruggedised regulator delivers up to 200mA to the output load from input voltages between 5.5 and 30V. The output voltage is stabilised to 5V ±5% including variations: initial accuracy, temperature changes from -55 up to 175°C (Tj), line and load regulations. The regulator is immune to latch-up, resists ESD events up to 6KV (HBM) and is protected against short circuit and power overloading. Other protection features are a current limiter and an over temperature protection triggering above 225°C (Tj). Safety margins with maximum absolute ratings for temperature and input voltage extend to 200°C (Tj) and 40V, respectively. The device is packaged in a 3pin TO-263 plastic package. The junction-to-case thermal resistance is only 4.6°C/W. The combination of high operating junction temperature and a low junction-to-case thermal resistance allows minimising the cooling requirements, e.g. using a smaller copper thermal pad on the PCB as a drop-in replacement of commercial voltage references. For automotive applications, it can supply automotive sensors and actuators modules close to the engine, the exhaust systems, brakes, turbo-chargers and also exhaust gas recirculation. In industrial markets it can be used in electrically controlled pumps and valves, industrial gas turbines and large DC/DC converters.